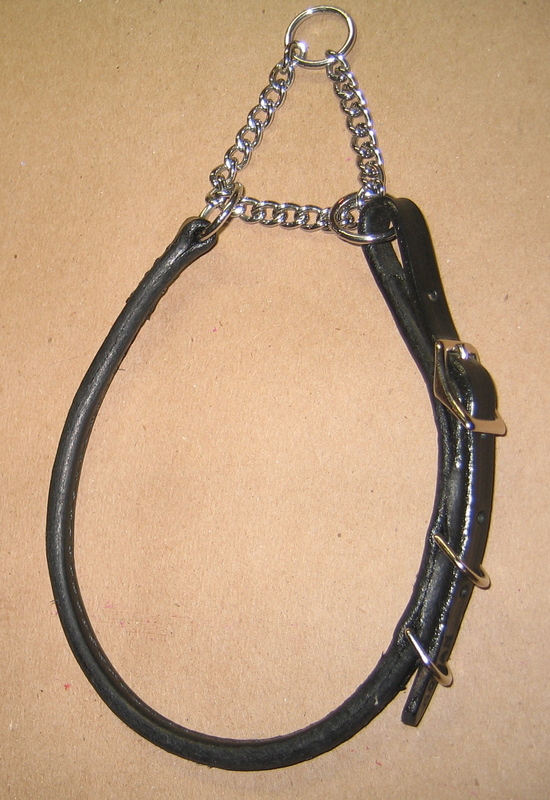 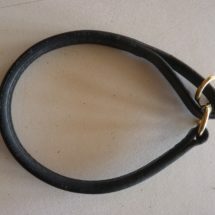 Black & Stainless Steel Martingale Collar with an adjustable rolled leather throat piece. 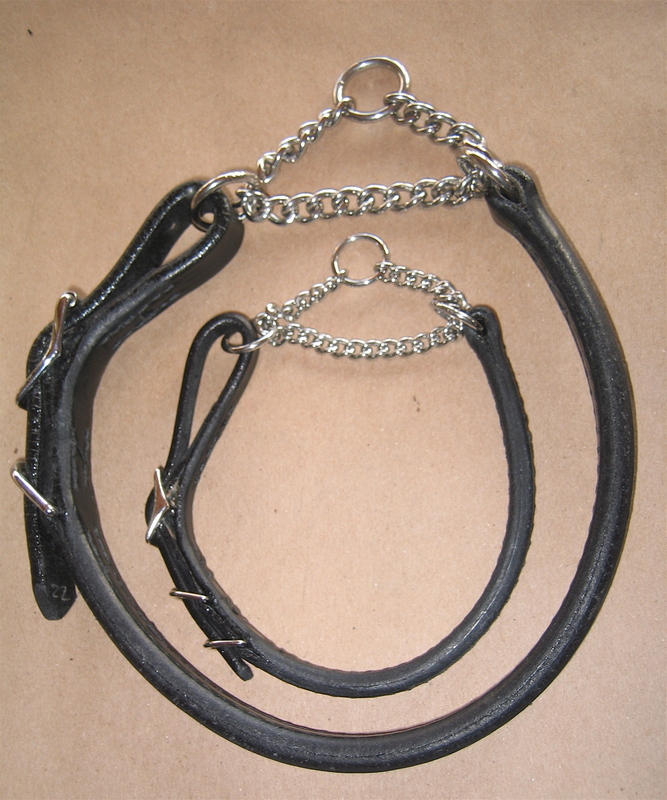 Stainless Steel chains come in different weights. 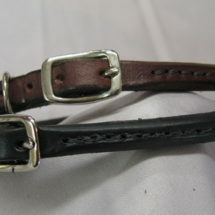 This collar has room for growth and tightening for Control when set high on neck. 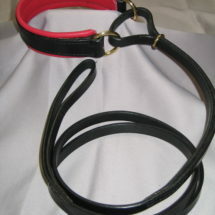 Measure snug from up behind the ears for this collar.